The Engineering Community across India is celebrating Engineers Day on 15 September every year on the birth anniversary of the great Indian engineer, Mokshagundam Visvesvaraya (Vishweshwaraya), who was born on 15, September 1860. He is held in high regard as a pre-eminent engineer of India. A scholar, statesman and the Diwan of Mysore, Visvesvaraya also received Indian Republic's highest honour, Bharat Ratna in 1955. 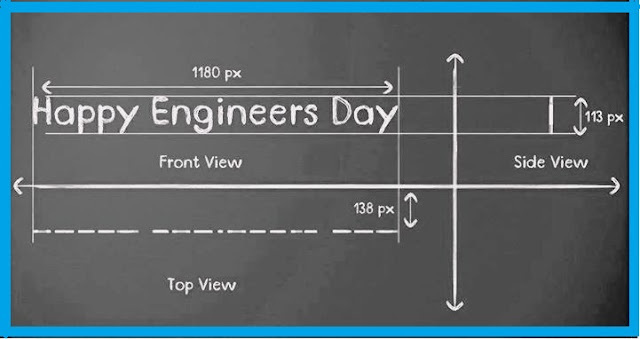 *"Happy Engineers' Day to all of You".